With tuning-licks and warm-up scales bouncing between Ship and Creation Rocks, John Kadlecik gave us a taste, and heads started shouting, “Stranger,” before the song took flight. The long, crazy nights that Feel Like a Stranger usually invokes came to life immediately, with Bob Weir howling and bringing a rejuvenated shimmer to his unique style of rhythm guitar. Bobby came back in a big way this Summer following an onstage collapse, playing solo acoustic shows, retooling RatDog for a run at the Peach Fest, hosting his weekly WeirHere online show from TRI Studios, and of course, Furthur’s anticipated inclusion at the all new Lock’n Festival. Any possible doubts were put to rest on Thursday night. Bobby sounded cleaner than he had in years, and Saturday was no different. 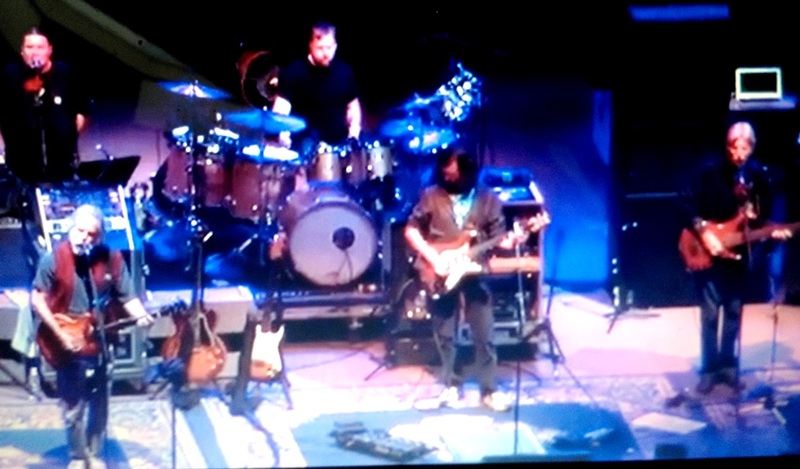 While lacking the vocal chops to handle some of the grittier Garcia/Hunter compositions, Phil Lesh and Bobby still let JK handle a good portion of the songs, and a nearly seamless transition into Althea allowed him to do just that. I’m all for imitation Jerry Garcia guitar, but imitation Jerry vocals get old quick, and to me, those vocals have been stale since before JK left Dark Star Orchestra. But this night he didn’t go overboard, and this version was blistering, with the entire crowd belting out, “this space is getting hot,” as Deadheads tend to do when the music progresses towards a punctual lyric. After a brief pause, Bobby got things back into order with Jack Straw. This is one of those songs that seem to change pace every show, and can border on mellow or rambunctious. Saturday night it was the latter, with a rocking jam in between and after the two verses that had me dancing in the aisles when I couldn’t find my friends. It transitioned into an especially fun and bubbly Doin’ That Rag, with the band trying their best to harmonize with backup singers Sunshine Becker and Jeff Pehrson. It was a nice change of pace after Jack Straw, and while Furthur is notorious for losing momentum, there was none of that. They were locked in on a level above their average shows. It isn’t nearly the magic of the X-factor that the Grateful Dead used to ride, but it was something to remember after seeing this group for four years and struggling to pick out the best moments. Phil kept things going, croaking out a standard Peggy-O; a song they’ve adapted and fine-tuned to his vocal capacity, before picking up the pace with the Workingman’s Dead-era Mason’s Children. This has been a Furthur staple since their first shows and one that Phil has been playing with his side projects for years. It truly defines post-Jerry Dead music to me: a more solidified approach to the songs, with structured jams rather than complete free form, stream of consciousness exploration. Bobby grabbed the reigns for the final song of the first set, as the jam dropped us into Promised Land. The Grateful Dead covered this Chuck Berry hit as early as 1971, and it was one of two songs on the night I had yet to see Furthur perform. The crowd was cheering, smiling, even trying to sing all of the cities and states in the cross-country American anthem. The band decided to take it Furthur, completely abandoning the timing structure for a jam that gave us a glimpse of what was to come in the second set. 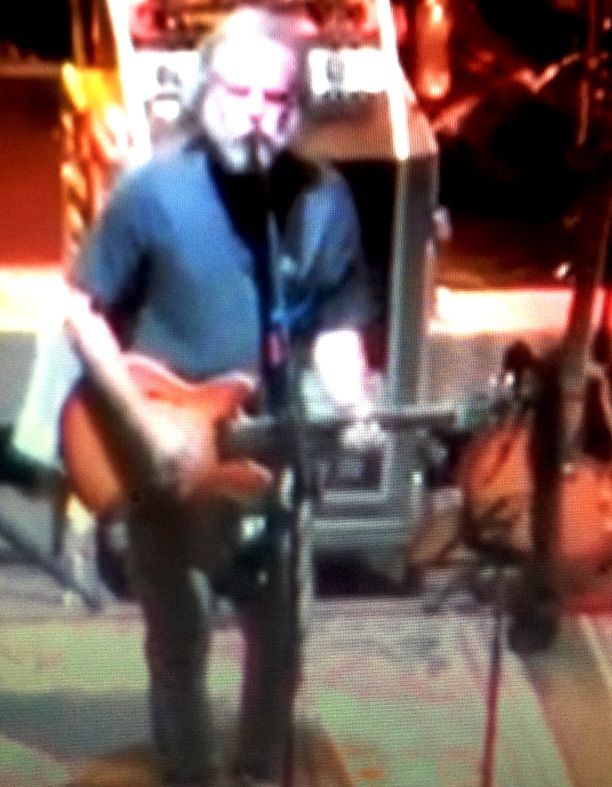 JK really sprung to life, playing the opening riffs to Let it Rock in Jerry Garcia Band fashion, before dropping back into the rocker that brought the first set to a close. As they did on Thursday night, the band kicked off the second set with a little more space than substance, but the choices were much improved. A cover of Traffic’s Dear Mr. Fantasy got people swaying again, with JK playing a particularly poignant lead. Though I am not a fan of his vocals, he has gelled with Bobby and Phil over the years, and it felt like he let loose on his guitar play. Phil’s stare can’t sting quite as much when you know you can’t be fired due to the inevitable “hiatus.” I say inevitable because it feels like the gig has run its course and people once thrilled to see Bobby and Phil share the stage are now wanting to see them in control of their own bands again. As the Stones said, you can’t always get what you want. There was something about The Dead tours, like in 2009, when you knew it could be the last time the core four played together. With Furthur, we’ve known there were more shows around the corner. 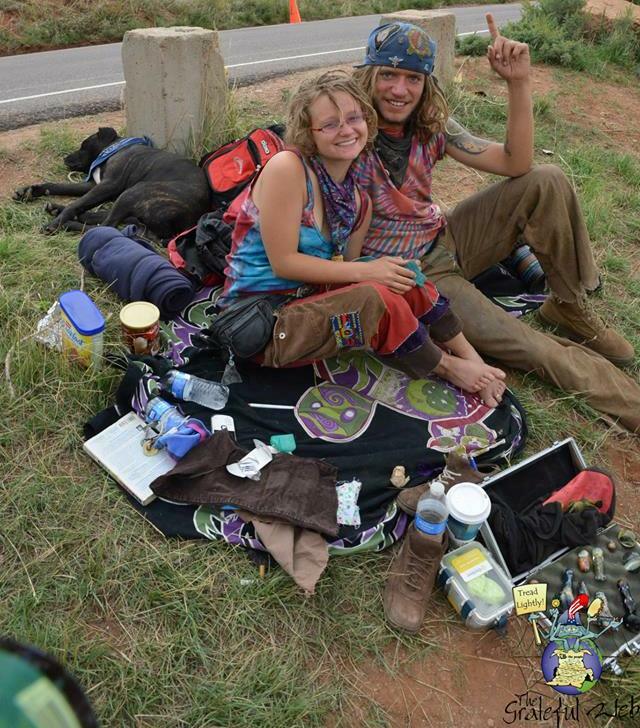 When news of the hiatus broke, and assumption spread that this would be Furthur’s final stop in Colorado, people felt something special again. By boosting the weekend tally to four shows instead of three, maybe the band did too. Fantasy slipped into The Wheel, which this band has owned time and time again, and was used as a vehicle to bridge the less extended songs of the first set with the longer, spacey second set material. Phil started dropping bass bombs, and after a soothing jam we were dropped right into Bobby’s always-exploratory, Estimated Prophet. If The Wheel acted as a bridge, Estimated acted as a foray into strange, uncharted waters. Bobby’s voice and rhythm guitar were on point, with JK adding ghastly riffs as they built through the jam following the first two verses. As Bobby spit out “voices tell me what to say,” and did his trademark “nah nah,” the song drifted into what I can only describe as a mid to late eighties space jam, which teased Dark Star many times before actually settling down and plodding into it. This might have been the most out there jam I remember Furthur playing, and Bobby even started playing the Twilight Zone theme music, indicating it wasn’t just JK teasing certain songs and having fun with the music. After bringing the well-oiled machine to a pause, Bobby started the riff to Standing on the Moon, a Jerry ballad that, like some others, can carry the weight and momentum to bring you to your knees. Standing at the top of Red Rocks, looking out over Denver and the Front Range, I couldn’t help the chills that made their way from my arms to suddenly flush face. From what I understand, and from what I heard, Bobby was supposed to kick things back into high gear with Let it Grow, and while I heard the opening notes, he called an audible and flew into At a Sliding>Terrapin Flyer. They had played Lady With a Fan/Terrapin Station Thursday night, like the Grateful Dead would have normally done, but not the entire suite, which Bobby brought back with RatDog numerous years ago. I remember thinking they were starting to play Blues for Allah, but no, he pulled out the wild card none of us saw coming. “While you were gone, this space was filled with darkness,” Bobby sang as I made my way back into my row, tripping over the stunned limbs of zombie-like heads. Phil brought us back to reality, dropping into his classic second set staple, Unbroken Chain. Phil only has so many songs he sings, and this is by far the best when it comes to the jams that can develop out of the music, not too mention the cohesion he and Bobby have built up together since the 2009 Dead tour. I thought we were well on our way to the close of the set, but then the unthinkable happened, and we got a late second set Shakedown Street, which seems to almost never happen at that part of the show. And what a rocker it was, with a monumental Phil bomb preparing the launch. The pace with Furthur can change drastically throughout a show, and Joe Russo, tasked with filling two drummers’ shoes on one kit, banged the frenzied tempo and got the crowd up and jumping like we hadn’t since that first set Promised Land. Just when I thought they might close out the set, they dropped into a rarely played All Along the Watchtower, making up for a lack of Dylan songs over the weekend. And then we got hit with the quick Lovelight to end the set, with Bobby foregoing the first verse to ramble and rant like Pigpen taught him to back in the day. The one-two punch of Bobby rockers pulled every remaining wide-eyed head out of their trance, and with that, the set came to a close. What felt like a marathon ended with pure Bobby; all that was missing was the ponytail and short-shorts. After the usual donor rap, Phil brought down the house with a flawless Box of Rain, the first Grateful Dead song I remember enjoying. Jeff Chimenti, the MVP year after year in this band, played the piano with such precision that I nearly had to take my seat and close my eyes and let the music carry me wherever it so felt inclined. 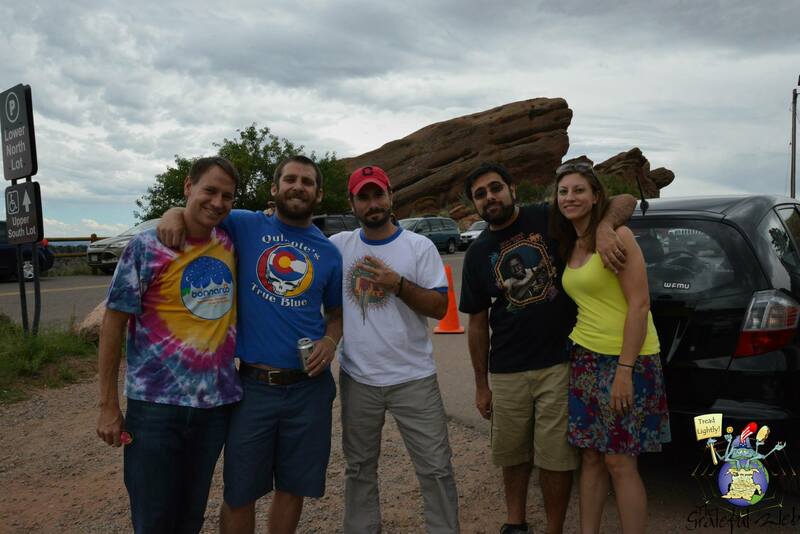 And just like that, another night of Furthur on the Rocks came to a close, and the mass exodus to the parking lots began. It was a step ahead of Thursday and Friday, and few flaws arose from either set. To me, a firm proponent of the lot sticker, “Bobby fans are people too,” the show was just what I was hoping for. It was full of teases, rockers, knee benders and tearjerkers, yet we all came out unscathed, ready and waiting for the Sunday sermon. 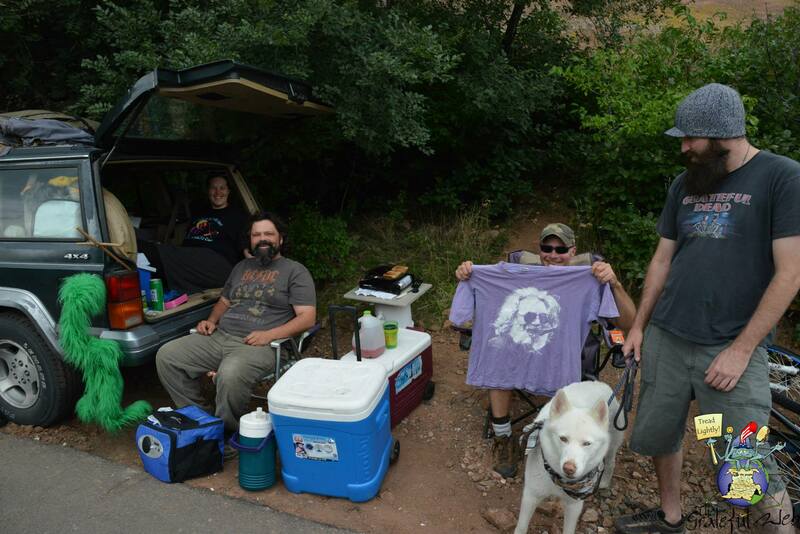 Check out lots more photos from the Red Rocks lot.